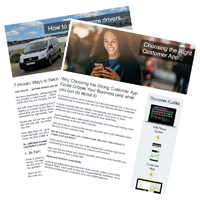 Download our free guide to discover how to choose the right taxi dispatch system for your business and how to avoid the costly mistakes many firms are making. Confused About When to Charge VAT or Worried You’re Charging Some Customers Too Much? Sign up to the iCabbi email newsletter for highly informative articles, updates, hints and tips for your taxi business.